*On all holovids and can even be researched to see the footage. * "Breaking news....Today at the Organa castle on the beautiful planet of Alderaan a giant fight broke out. Two officials from the planet Corellia came out to investigate the former Jedi master known as Anaris and other known associates such as one called Ozner Emiya and another young Jedi called Sera. The proceedings were said to be a peaceful one said one of the diplomats of Alderaan but it turned sour once Anaris's wife Stell'ange of Tattoine refuse to stay out of the questioning proceedings. From what sources tell the RNN they attacked some Alderaan guards and then killed a few diplomats as well. As seen on this video you can see what accord at the time." * A video is played which shows the incident at the Organa castle on the second floor of the guest quarters. Anyone watching the video of the event would notice it cut out a moment and then continue. All would see blaster fire being shot back at the Alderaan troopers and then see Sera sister of Stell'ange force push a few of them back. Another clip would see two of the diplomats go down from the fire fight and three of the Alderaan troopers thrown to the wall by Anaris. The clip would shift again to a scene were Ozner Emiya is shot at by the Alderaan troopers and then a frag thrown at him. Clip cut out again a women now Identified as Kyirre force blast about three other Organa guards while a man two feet away fights another five Organa guards. There would a clip of an Alderaan trooper running and firing at Anaris but with one swift motion the trooper would be force pulled towards him and stabbed in the ribs by the former Jedi. Again the clip would change and it would show Anaris and Stell'ange jumping out of a back window from the second floor of the castle. The last few clips would show Ozner giving himself up and being arrested while Kyrrie and the stranger whose faced was masked the whole time escpaing through another window. There would be another clip of the one known as Sera also giving her self to the authorities as well. The vid would stop now and the reporter would continue speaking. * "As you all can see a massive battle took place at the great Organa castle. The fugitives known as Anaris and his wife Stell'ange who apparently looks like she is pregnant at the time of these events are considered armed and dangerous. Also on the run is young Jedi known as Kyrrie and another suspect still not identified yet. Be advised that two of the six suspects now are in a Alderaan holding cell and will be questioned for further information. Next up how well do you know your planet?" May the force serve us well!!! Moved to the right spot! RNS - Royal News Service: Alderaan's premier news network! ~~Killik outbreak on the shores of Lake Cyress~~House Baliss Spring Gala attendance low~~House Ulgo wins landslide victories in the Juran Mountains~~House Wymarc's Sheltrev Memorial Starport becoming a major trade hub in the Juran Mountains~~Crevasse City street fighting intensifies~~RNS - Royal News Service: Alderaan's premier news network! "This is precisely why off-worlders should not be involved with Alderaanian affairs. The Republic has proven that it has no interest in protecting Alderaan's interests and will only take. This sad incident, caused by a disagreement between Republic officials and Jedi, led to several needless Alderaanian deaths. This is unacceptable. Alderaan is an independent world and the Republic has no business here. Further involvement of foreign powers will only serve to escalate the already bloody civil war." "The Embassy is only there as a cultural outreach center and to serve as a point of contact for Erini traders new to our world. It is not an expression of Erini political or military influence." On all holovids and RNN in all republic space and some Hutt space can seen this news. "Breaking news today we have confirmed reports on a massacre of republic troopers and Jedi knights bodies found all over a republic base on the planet of Voss. There was a holovid surveillance found at the scene of the crime. Please be warn that this recording is graphic and not suitable for children. " The recording begins showing a group of what looks like eight individuals battling a group of three Jedi and three crushers on the outside of the republic base which was a cave. The recording shows the intruders faces showing them as members of the infamous Moirae. The leader Jen'rhak, Tae, Karmic, Oden, Kezie, and two agents names unknown. The group disposes of the Jedi's and crushers in front of the republic base then enters the cave. The holovid changes and shows a the group battling a group Jedi and some republic troopers. To viewers they would see the sith tearing the opposition apart. The vid switches and then shows three out of the group surrounding one Jedi and tearing him apart. The vid ends. "As of now the objectives of the group known as Moirae is known but they are to be considered armed and dangerous. Over a dozen bodies were found around the cave and three found outside. The battle looked bloody and sad. Also a young padawan of the Jedi order was not found amoung the bodies it is believed that he may have been taken. The young padawan's name is being held due to the Jedi order restriction. The padawan was believed to be watching over a group of five younglings that were to be transferred to the another planet for traning. The younglings were also not found with the bodies. We will update you as we find out more on these developing events. "Also the two fugitives Anaris and Stell are still on the run and are considered armed and dangerous. The two individuals that were arrested Sera of the Jedi order still in training and Ex master Ozner Emiya were released onto the house of Wymarc with no charges. We will keep you all up to speed with any updates to these events. If you see or come in contact with the fugitives be wary and contact the nearest authorizes." "Later we will discuss the best and cheapest space ports. Stay Tuned. " After the Empire's recent violent actions on the Voss sovereign soil, the Voss government has removed the current ambassador Darth Servin from the planet. The Imperial diplomatic offices are now relegated to operate from the orbiting space station. People now wonder if these means the Voss are looking more favorably on the Republic or perhaps the recent applications of the Hutt Cartel, who have recently been making a stronger play to have the Voss join their controlled systems. We will bring you up to the minute as this diplomatic event unfolds. In a statement released earlier today, Lord Jen’rhak Seselis denies any wrongdoing by the Imperial organization Moirae. “The Moirae has a proven history of supporting and following Imperial directives. We fully understand the implications of any hostile actions on Voss and deeply regret that we are being used by malcontents who obviously wish to destabilize the independent and proud peoples of Voss. Such a tragedy as this can only be the engineered by a rogue group in an attempt to cast doubt on the commitment of both the Empire in its negotiations on Voss and the Moirae in supporting the Empire.” The leader of the group exposed in the anonymously released holovids went on to say that she would personally be leading an investigation of the incident and was certain that the truth would be revealed under the lens of scrutiny. The controversial organization "Security Blanket" held a press conference outside the Senate Tower on Coruscant today, calling once again for an end to the Republic's law allowing the Jedi Order to take Force-sensitive children, even against their parents' wishes. "...with five younglings grabbed from Jedi hands on Voss shows that the Republic has yet again failed to protect its children. Every child has the right to grow up at home, amongst their kind and their family. Every child has the right to a secure childhood. Childhood should be about playing and learning. Instead, the Republic allows the Jedi Order to take these children and make soldiers out of them, brainwashed to sacrifice everything for the Order, rejecting any ties to the parents who brought them into this galaxy and who love them. This is unacceptable in a society that calls itself democratic and that claims to stand for freedom!" The office of the Supreme Chancelor refused to comment, issuing only a printed statement reminding all that the Jedi exist to serve the Republic and that every Force-sensitive child has the right to receive the proper training in the Force. An Imperial transmission from the border world of Reydovan Prime was intercepted by RNN earlier this week; the planet voted to secede from the Republic and join the Sith Empire some two months ago. The message's destination, the Jedi Temple on Tython. Given that it was not encoded, it seems clear that its sender wanted this transmission intercepted. Jedi. 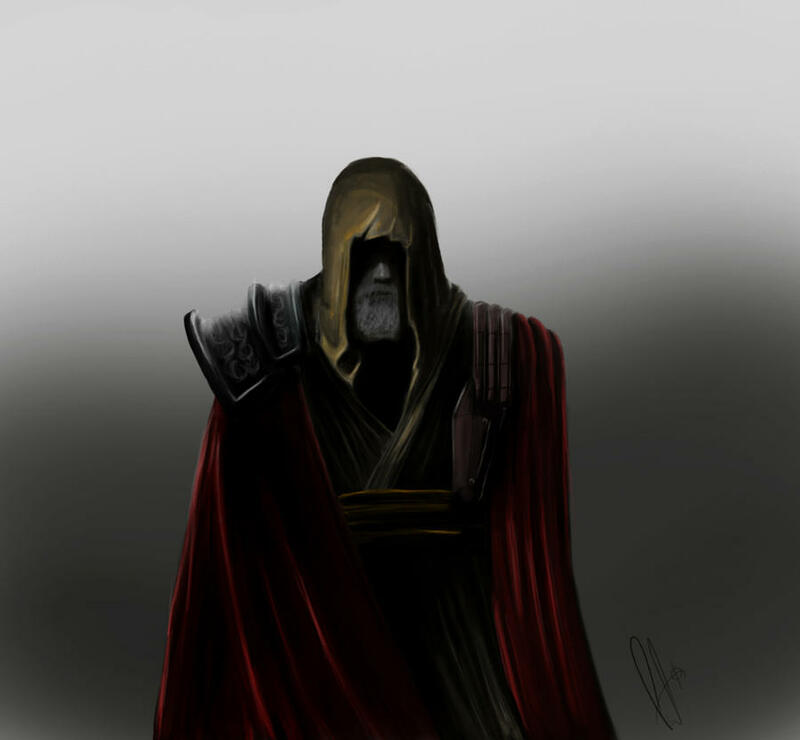 I am Darth Malagant, acting Sith overseer of Reydovan Prime. We have recently had...aggressive negotiations with a member of your Order, one Saxtus Fayhan, who came illegally into our space with the purpose of inciting insurrection on our new colony, and to murder a Sith Lord. In addition, my personal transport, while en route to this world to conduct an inspection, was fired on by a Republic privateer vessel in an insulting gesture, after I offered them safe passage back to Republic space. These actions are clear provocations, in violation of the Treaty of Coruscant. The record will show that Master Fayhan willingly, and without remorse, aided insurrectionist rebels in attacking the government palace in our new capital city of Illuminopolis, and has killed a Sith Lord and several members of the planetary garrison. Many of those rebels are now dead. There are those in the Sith hierarchy who desire that Master Fayhan suffer the same fate; indeed, I briefly considered that the only way he would be returned to you is in pieces. However, I have negotiated in good faith to allow the Master, and the privateer who had come searching for him and fired on me in the process, to return to Republic space unmolested. By now, they will have arrived at your Carrick Station. I simply chalk Master Fayhan's ill-conceived journey to this world up to emotional instability, and a clear bias bordering on hatred for the Sith. If this is the kind of Master your Order produces, it is a miracle the treaty has held for as long as it has. I would keep a much closer eye on him; if you truly desire to maintain the peace, then you will keep your war dogs in check. Believe me, you will not like the alternative. Reydovan Prime has lawfully elected to join the Empire, and under the terms of the Treaty of Coruscant, you cannot interfere with the political process. The massive losses of life in Montagne Noire, instigated by the less-than-subtle actions of Lord Cyanoculus, are regrettable, and will not be repeated. That said, however, my generosity has its limits. No further action is to be taken against anyone or anything on this planet. The treaty remains in effect; violate it, and we will defend ourselves. That is not a threat - merely a statement of intent. The Voss consulate stated today that in light of new evidence provided by an anonymous holo-net poster, that they will continue to keep the Imperial diplomats on the space station and off planet side. This comes shortly after the Moirae were once again mentioned on the holo-net in reference to a bloody and violent scene on Kwenn. Many governments are beginning to wonder, why are the Moirae being linked more and more to public scenes of violence? Are they going showing the true face of the Empire or is this a rogue group of violent people? More on this as the story progresses. "This is a RNN special report. We are transmitting a live feed from the Jedi Temple on Tython. A Jedi Master is about to speak publically about the recent abduction of Jedi younglings on Voss, and escalating tensions between Jedi and Sith across the galaxy. Here he is now... focus that holo-cam!" "My name is Dai Yarwin, and I am a Jedi. My rank is Master, but I do not speak for the Jedi Council. I have come to address recent accusations and demonstrations across the galaxy regarding the training of Jedi Younglings. It is important to recognize that our history has taught us that most Force-sensitive adult species cannot adapt their minds to the rigors of training that a Padawan must endure. Younglings however possess a sense of spirit and willingness to accept new ideas that cannot be discovered or duplicated in an adult. I cannot stress enough that it is not the intent of the Jedi Order to forcibly remove children from their families. Rather, we present the parents or guardians with the knowledge that their youngling is special, and vulnerable. Left untrained, many Force-sensitives live out their lives with little inkling they are different from those around them. In some rare, unfortunate instances, the power of the Force is realized in their later years, and without the discipline and training the Jedi Order provides, these individuals can often harm themselves or others around them. Further, if their strength in the Force is discovered by others, they can be exploited, or even killed, out of misunderstanding or fear. There is a call for these younglings to be left in the care of those who love them most, and this seems like a just and good decision. 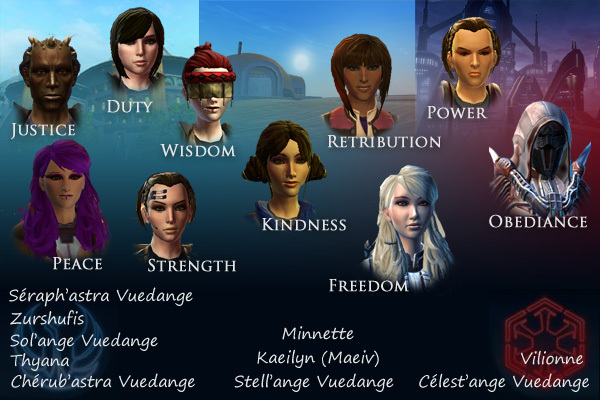 Consider the recent events on Voss. The perpetrators of that heinous crime knew of the presence of these younglings, perhaps they were Force-sensitive themselves, or even trained as a Jedi, or Sith. The ability to sense the presence of others around us is one of the earliest talents developed by Jedi padawans. Had these children been in the arms of their familes instead of their Jedi guardians, those families would now be dead. As would their friends, neighbours, even pets. The acts committed on Voss stand as a stark reminder that there are those in the galaxy who will force their will on the weakest of us, without regard for the needs or rights of anyone else. The nuturing of younglings, and the training of padawans is the Jedi Order's greatest responsibility, and our greatest honor. These younglings represent our future, and the Jedi who train them safeguard our present. You have my solemn vow as a Master of the Jedi Order that we are taking every measure necessary to secure the safety of those in our care, now, and in the future. I wish to address the perpetrators of the murders and kidnapping on Voss. Return the younglings, unharmed. Seek forgiveness for your crimes in the eyes of those you hold most dear. Surrender, and you will be given a fair trial and sentence, with consideration given to the condition of the younglings upon their return to the Republic. If the younglings come to harm, or worse, then understand that the Jedi Custodum has the full weight of the Jedi Council behind it, and we will bring these perpetrators to justice. I also wish to address Lord Jen'rhak Seselis of the Moirae. Your presence or participation in these events is wholly dependent on your cooperation in the investigation of the Jedi Custodum. If you sincerely wish to absolve yourself of these horrendous crimes, then present yourself to our Jedi Knights, so we may investigate these matters together, in a spirit of cooperaton and comradery that is genuinely needed between your Empire and the Republic in this time of strife and uncertainty. Whatever your decision, know this. You have our attention Lord Seselis. It is undivided. I bid you all a safe journey, and May the Force Be With You." "IFH: Where ya go when ya wanna hear all the Empire's Dirty Little Secrets, without dyin' right after," A man's mangled basic chimes over the holo. There's simply a revolving Aurabesh Isk, Forn, Herf where normally the broadcast would appear. "Sorry about th'recent change in scenery, but we've got a special treat t'night! As always, don't ask how, don't ask why, and don't ask who they are, but coming to ya live is one o'the attackers involved in th'Voss incident y'all keep hearing about. Fer safety's sake, we'll just call 'em V. Keep yer datapads in tune, cause we'll be grabbin' random questions throughout th'interview." There's a small pause, before the man continues. "So, V, I betcha one o'the biggest questions on our viewers minds is: Why'd ya do it? Voss is one o'the Empire's biggest undertakin's. A few young'uns can't be worth an entire planet." The aurabesh switches to a Vev, to indicate V's response. A voice, distorted beyond any possible recognition, speaks. "As you can see, it's stirred up quite a bit of chaos. The Empire denies any involvement, the Republic is reeling from the attack. I trust you've seen the original vid?" The letters fade as V falls silent, and the original news vid rolls, showing Force-users and several agents decimating Jedi and Republic Soldiers. It cuts to IFH lettering. "Well, 's sure a scary lookin' vid. But m'question remains: Why do it?" It cuts to Vev. "It isn't 'scary'. It's 'terrifying.' Think of all the Republic citizens, horrified as they see their military and their precious Jedi order fall, all over their children. Amidst all the chaos, Republic citizens will see this as turning out to be a war for the children. All of those children were Force Sensitive. Do you think they'll want to send their kids with the Jedi, knowing full well we may show up and take them for ourselves?" Cut to IFH. "So th'entire thing was a terror attack? Simple as tha'?" Cut to Vev. "Oh, no, there was nothing simple about this attack, nor was it just a terrorist attack. We want chaos. Both the Empire and the Republic have rotted away. This singular attack proves it. The Republic senators will play nice in their fancy rooms, and the Empire will deny the event ever happening, wishing they had thought of it first." Cut to IFH. "So you deny that the Empire, or its associates, had any involvement in th'attack? Despite th'evidence?" Cut to Vev. "I neither deny nor confirm." Cut to IFH. "Very strange. Well, we've had a buncha questions come through while we were interviewin' ya, let's run 'em through the randomizer and see what we can get. This is from. . .ImpLover9000, whose questions says: 'V, were any children harmed while you slaughtered their protectors?" Cut to Vev, as a small snicker registers. "No children were harmed." Cut to IFH. "Now, lessay hypothetically, ya were tellin' th'truth about th'Empire not bein' involved. Why would yer group do it?" Cut to Vev. "There is no hypothetical. Our actions produced the desired result. Everyone is afraid. Out of all this, every man, woman, and child under both the Empire and the Republic will take stock of what they hold dear, and will begin fighting to protect it. The Jedi will crumble, and the Sith will rot away, and with none to replace those fallen, they will die out." Cut to IFH. "Tha's an interestin' perspective, to be sure. We've got time for jus' one more-" There's a small buzzing, "Ah, kriff it. We're outta time, folks. Thanks fer takin' the time to sit an' chat, V."
"Well, there ya have it. No Empire, no Republic, just pure chaos. Ya've got a hold o'the Imperial Free Holonet: We do the diggin' and dyin', so you don't have to!" The display flickers and then shows a short, bald man wearing dark circular glasses. The other lights in the room, a cargo bay on a spacecraft, fade leaving him the sole illuminated object. "Welcome listeners! This is Coronet City Free Broadcasting, bringing you the Truth, no matter the cost!" "Last night it seems the pirate Falkc was shot in cold blood by Republic troops who launched a large scale attack on his last remaining base on Talus. My sources indicate he was shot several times, then burned to a crisp. Is this what passes for due process in the Republic?" "But 'he was a pirate!' you say. 'He was a menace!' Well, this is true. But it's also true that he had letters of marque from the Republic. That's right - he was a bonafide Republic Privateer! So the question becomes, What is the Republic trying to cover up?" A red light starts flashing in the hold. "Well, it looks like Corsec's found me again. See you all on the flip side. And remember - only CCFB brings you unbiased news in Republic space." RNS - Royal News Service: Alderaan's premier news network!~~Killik outbreak on the shores of Lake Cyress worse than originally estimated~~Shots fired in Aldera City~~Wedding announced between Organa and Teral~~House Ulgo's Juran campaign continues to gain momentum~~House Wymarc's Sheltrev Memorial Starport becoming a major trade hub in the Juran Mountains~~Casualties mount in Crevasse City fighting~~RNS - Royal News Service: Alderaan's premier news network! Alleged witnesses report that last night on Nar Shaddaa, Baron Wymarc ran a man through, claiming he was a Rist assassin sent to kill him. The assassin's lover, a Sith known as Darth Karmic then threw the Baron down the street with the use of the Force. Is this a sign that the civil war is expanding beyond the Alderaan system? Or is this just another half-hearted attempt by House Rist to extract revenge for their defeat at the hands of Baron Wymarc earlier in the year? More on the situation as it develops. "No.. I wasn't really looking at his moustache. Why should I care what the baron's moustache looks li- AAAAAGHGHGHGH! YES, YES, FINE, IT'S A LOVELY MOUSTACHE! RALLE AND TAELIOS LOOKED POSITIVELY DASHING!" The passerby then mysteriously expired from lightning-based injuries. More on this, later. Taelios News Network: All the News that's fit for a "Sith Lord". We're here at the release party for DJ Alisonda's first album, Legs, and it is wild down here! She started off the night performing her entire album live at the same nightclub where she was first discovered by Coruscani Krayze, and the energy has electrified this crowd. I wish you could have seen the light show spectacular that accompanied her performance, the synchronization with her mixes made for a dazzling display unlike anything I've ever seen. Let's see if we can brush up against where she's sitting on the bar to get a few words with her, shall we? HNC: That was an amazing act! What can we expect to see next? DJ Alisonda: I don't even know! *laughs* Something crazy! HNC: What are your goals for your career? DJ Alisonda: I want to take over the galaxy and rock the walls down! HNC: Was there a specific person who influenced "Fine, Just Go"? DJ Alisonda: When I mixed that, I was really angry at someone that I'm probably still angry with. I don't mix love songs or ballads because I'm not in love. So I basically make music about experiences that I've had or stuff that's embarrassed me or even something that gets on my nerves. Basically, music is my vent. So, "Fine, Just Go" was like that. I'd always wanted to have the upper hand in that relationship and the only way I could have that was through the mix. HNC: Tell me a little about this album. DJ Alisonda: It's crazy. My favorite word is eclectic. It's really hard for me to categorize it. To explain myself in a nut shell, I'm eclectic and versatile. I love like all kinds of music. Even over the hard zip zop tracks you can hear the influences from rock and opera and alternative. There's a lot of influences going on in my brain and that came out in the album so I'm really happy about that. HNC: Which track is most like your personality? DJ Alisonda: Oh, "Multiple Personality"! HNC: Multiple personality?! What drives you insane? DJ Alisonda: I hate fake people. I hate liars. Here's an example. Someone comes up to you somewhere a party. Somewhere, anywhere, on the street. "Hey, Alisonda. I missed you so much. Oh my God, you look so good!" and then they turn around and say, "Did she get more cybernetics? What is wrong with her?" I'm a very honest person. Sometimes I put my foot in my mouth, but at the same time, it's like my motto: If you're truthful and honest you might not have that many friends, but you'll never have any enemies because everybody will always know where you're coming from. HNC: You've said before that you've gone through many phases in your life, as do most people. What phase would you say you're in now? DJ Alisonda: See, that's the thing. I went through so many phases. I felt like I was grown when I was twelve years old. Right now I don't really think I'm going through phases. I think that all the places I've been and all of the things that I've tried and all of the avenues I went down, I made one big street with it and I'm on that street right now. I'm just kinda in-between everything. I'm a collaboration of everywhere I've been and everything I've liked. Now, it's just the best of everything. HNC: Is there anything that you didn't get a chance to put on this album that we can expect to find within your sophomore album? DJ Alisonda: There's tons of stuff. I'm on Coruscant's last nerve right now. I'm the type of person... I keep mixing and mixing and mixing and I keep coming up with these songs and I just had to close the album. It was getting to be ridiculous. It was like "What about this one? What about this one?" I have to give some of them away and keep some of them and just keep mixing. With me, it's like sporadic. I can not mix for two months and then just have a week where I can't sleep, I'm mixing so much. I could be looking in someone's window and they could be having an argument and I'll just start making the music. I'll sit down on the pavement and start humming on the sidewalk. I just have to mix. I have to hear it to mix it. I'm so much better at music than I am at talking. HNC: What does your family think of all of this? DJ Alisonda: I don't really care. I'm having the time of my life, why worry about what others think?